Knill and co-workers6found that doses of 0.1 MAC of volatile anaesthetics reduced the sensitivity of the response to CO2. However, Knill assessed ventilatory responsiveness to CO2using Read’s rebreathing method. Berkenbosch et al. showed that Read’s method gave misleading results and argued in favour of a steady-state method to study ventilatory responses to CO 2 1 . 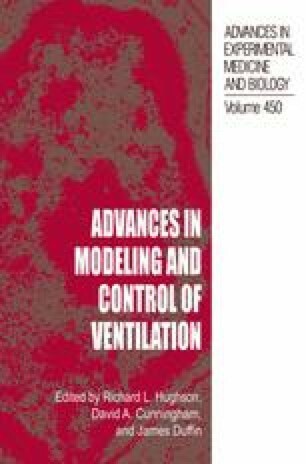 Using the steady-state method, it has been found that 0.1 MAC halothane reduces the ventilation-CO2response slope by 30%2, while 0.17 MAC nitrous oxide has no effect4. Desflurane (0.1 MAC) also does not affect the response to CO 2 5 .